We all had to start somewhere. Here's a list of suggestions for how to get started in motorsport. The first thing we'd suggest is joining your local CAMS-affiliated Car Club, as you'll find a number of resources through them, and this is also a requirement for a CAMS licence (required for participation in sprint and racing events). CAMS also has some great tips for getting started - get a taste for the track on a Come and Try Day. The best way to start on the journey towards racing a car on track is by pushing yourself and your road car in controlled conditions with an instructor. This will give you an understanding of vehicle dynamics, understeer and oversteer, cornering loads and so on. Check out organisations such as Murcotts, Driver Dynamics, Evolve the Driver or a CAMS-affiliated Car Clubs such as the BMW Driver's Club Melbourne or the BMW Car Club of Victoria. Once you've done some defensive and advanced driving courses, you can progress to on-track performance driver training and track days, often with the same organisations listed above. After some track days and performance driving instruction, it's time to start pushing yourself a bit harder, against the stopwatch and against yourself. Club Sprint days are offered by the Car Clubs above, as well as other groups such as the Marque Sports Car Association and the Alfa Romeo Owners Club. You can still do these events in your road car, but if you're hooked you might need to start thinking about getting yourself a track car (refer 3 below). Sprint events will have you put into groups of similar experience, pace and//or style of vehicle, and you'll get several sessions a day where you can make some space for yourself on track and aim to improve your time during the day. You may also want to try Regularity events, which is similar to sprints except that your aim is to match your nominated time (set after a "qualifying"session), as closely and consistently as possible, with points awarded for your accuracy. This is a great way to practise getting into a rhythm and driving smoothly, often with some traffic. Some clubs also run team endurance Regularity events - these are great fun, and give you great experience in driving for longer periods with a number of other cars sharing the track with you. If you've done some track work in your road car, you will be adding to its wear and tear, going through brake pads/rotors and tyres ahead of schedule. If you want to modify a donor car for the track, or find a race-prepared E30 Race Car for sale, keep an eye on the many E30 enthusiast pages on Facebook, and check out the My105 website, where you can find track/race cars for sale. 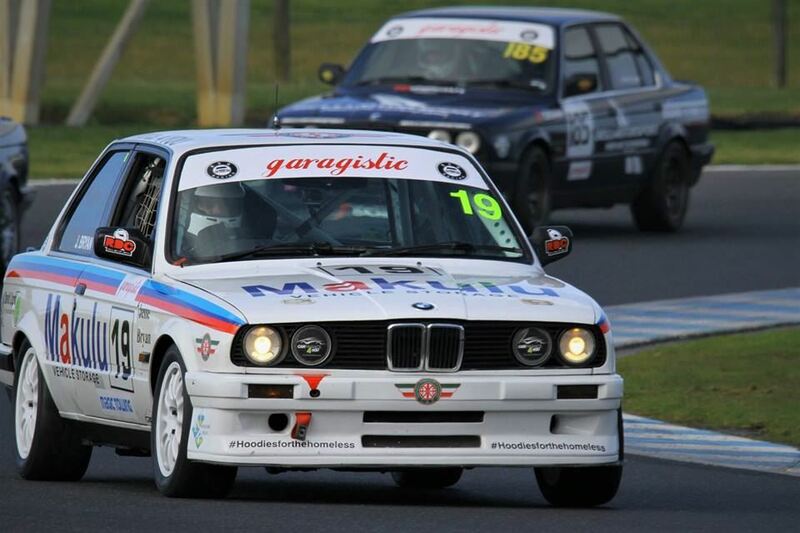 E30 Racing will also heavily promote any race cars for sale that we become aware of, so stay in touch! Become familiar with the current Technical Specifications for the BMW Driver's Cup. Your best resource for cars, tips, track preparation and advice are from our local E30 motorsport specialists, including: 6s Engine Services, Bell Motorsport, David Levy Motor Sports, and Northern BM. We'd be delighted to welcome you to the E30 Racing grid. Don't hesitate to contact us with any queries, we're more than happy to assist. Once you've got your car and safety gear, your CAMS racing licence, you'll just need to join E30 Racing as a competitor, then you're ready to go! We'll ensure you're part of our Facebook and Messenger Members Groups, so we can keep each other in the loop throughout the year and during race weekends.